A new conservation project has been set up to help preserve the marine environment surrounding the islands of the Maldives archipelago, off the Southern tip of India. 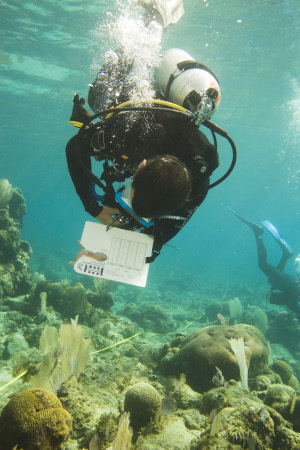 Normal holidaymakers with a dive qualification will be able to assist by collecting important data on the corals, fish and invertebrates under the guidance of marine scientists from the Maldives, UK & Germany who will train and oversee their work. The study will ensure informed conservation decisions can be made by the Maldivian government and non-governmental organisations. The project, based on a liveaboard cruising the archipelago, will see Biosphere Expeditions, the award-winning not-for-profit conservation organisation, working with the Maldives Marine Research Centre (MRC) of the Ministry of Fisheries and Agriculture, Reef Check and the Marine Conservation Society to study and safeguard the spectacular coral reefs and the resident whale shark population. Hussein Zahir, the MRC’s Senior Reef Ecologist, says “We are very grateful for the support of Biosphere Expeditions and its partners in our research efforts. Biosphere Expeditions is a great model for tourism and research combined and we need more of this on the Maldives. The Maldives are literally built on coral reefs - not just geophysically, but also in terms of our economy. Although we have so much reef-based tourism, our own capacity to do surveys is actually quite small. The many resorts and liveboard dive boats that exist on the Maldives are not geared up for coral reef surveys, so through Biosphere Expeditions we aim to showcase that tourism and research can go hand-in-hand for the benefit of all”. People joining the research project will work alongside marine biologists surveying the beautiful coral reefs and whale shark population. 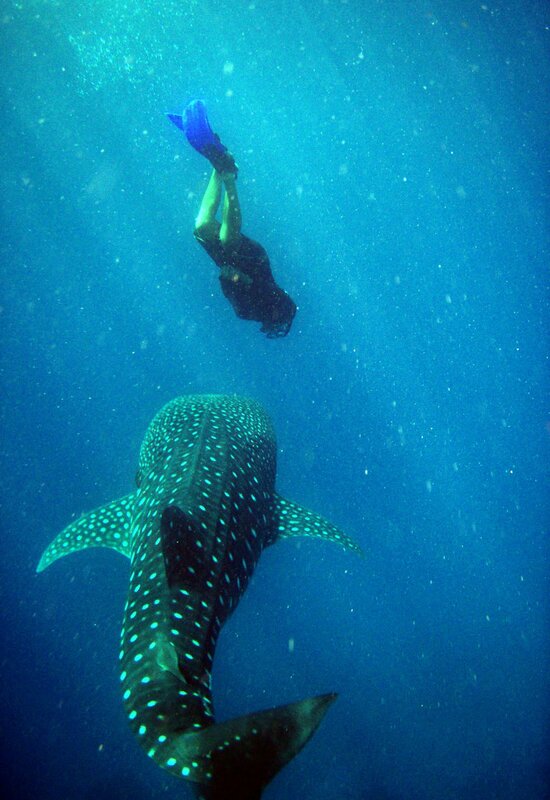 Whale sharks can be identified by their gill markings, which are unique to each shark, like fingerprints. Photo identification can be used to map where the fish go, how often they are recorded at individual locations and if further protection is needed for specific areas. The expedition will take place between 3-9 & 10-16 September 2011 and costs £1620 | A$2620 per person, excluding travel to and from the Maldives. The base for the expedition will be a large, modern liveaboard dive boat with air conditioned, ensuite cabins and all modern amenities. Those taking part must be experienced divers and need a minimum of a PADI Open Water certificate, or equivalent. For more information please visit www.biosphere-expeditions.org/maldives.